A link to the Downloads page was also featured as one of the top navigation links on Apple’s website until a section for the iPad replaced it several weeks ago. Of course, the Downloads page has gone without updates for several days in a row in the past. The most recent month-long update drought, however, has many developers wondering if Apple plans to discontinue the Downloads page altogether. I like the idea of a Mac “App Store Lite” – because that’s exactly how I thought of Apple’s Download page when I bought my first Macintosh in 2005. 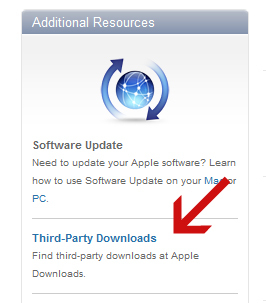 As a new subscriber to the Apple way of life, the Downloads page was an easily-browsable headquarters. In fact, I still go there from time to time and browse through the apps. Most offer a free trial period, unlike the iTunes-based App Store, so there is little barrier to entry. Try an app. Don’t like it? Try another. Before that, we had iCards and QuickTime and all kinds of nonsense. To me, the Downloads page makes more sense under the Mac heading – since it’s all software for the Macintosh. The downloads page languishing and hidden in the remote corners of apple.com is not a good sign. It reminds me of what Apple’s doing to AppleTV. I’m not a fan of any of those options. Posted by davelawrence8 at 6:08 am on May 10th, 2010. 2 comments... » Categories: apple, software. Tags: apple, apple.com, downloads, history, mac. Subscribe via RSS. Wow… and I was getting ready to start developing for OS X. 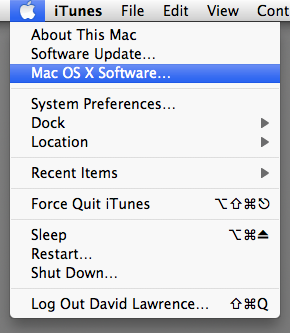 Sorry Apple, I’ll just stay on DOS and Windows! Posted by Matej Horvat on May 10th, 2010. Posted by David Kendal on May 10th, 2010.